Dr. Walter Herold Reeves, 87, of La Porte, passed away on Monday, September 3, 2018 at Settlers Place Senior Living. Walter was born in Chicago, IL, on May 18, 1931 to Herold and Betty (Cihla) Reeves. On June 25, 1960 in Kankakee, IL, he married June Hubert who survives in La Porte. Also surviving are his beloved daughters, Brenda Susan (Rodrigo Rius) Reeves of Bradenton, FL, and Pamela June Lamar of Las Vegas, NV; and 2 grandsons, Luca and Sebastian. Walter lived in Crystal Lake, IL with his wife and family until moving to La Porte in 1991. 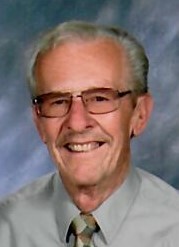 Walt truly loved his profession as a Child Psychologist and worked as a school Psychologist with the La Porte Community Schools until his retirement in 2013. A Celebration of Life Memorial Service will be held at 2 pm (CT) on Saturday, September 8, 2018 at Cutler Funeral Home and Cremation Center. A time of visitation will be held from 1 pm (CT) until the time of the service on Saturday at the funeral home. Memorial contributions may be directed to Boys Town, 14100 Crawford St., Boys Town, NE ​68010 or St. Jude Children's Hospital, 501 St. Jude Place, Memphis, TN 38105.